Ashe County NC is found in the Appalachian Mountain region in the northwestern corner of North Carolina, bordered by Tennessee and Virginia. Ashe County NC was first inhabited by Native Americans. There have been many Native American artifacts found in this region, such as pieces of broken pottery and arrowheads. One of the oldest rivers in the world, the New River flows though this area. In 1997 former President Bill Clinton and Vice President Al Gore held a ceremony on this scenic river that designated it as an American Heritage River. Most of Ashe County NC is located at 2,500 feet above sea level, with Mt. Jefferson overlooking the county where you can see mountain views of Virginia, Tennessee and North Carolina. Ashe County NC was once known for its poultry and cattle farming. In the past few decades, the county has moved away from this way of life to pursue more profitable markets in the Christmas tree industry Western North Carolina is so well known for. In addition to Christmas tree farming, there is a wide variety of businesses in this area. Ashe County NC is home to national and international manufacturing companies, as well as art galleries, small retail shops, and entrepreneurial and tourism industries. The Ashe Memorial Hospital is located in Jefferson, North Carolina and prides itself on excellence in primary care as well as long term care services. The school system in Ashe County NC is a part of the North Carolina public school system. Ashe County NC offers 4 elementary schools, 1 middle school, and 1 high school. These schools are equipped with dedicated teachers who share an interest in and devotion to their students. Ashe County NC is a delightful mountain community that has a plethora of activities for residents and visitors alike. Many people like to visit the Ashe County Cheese Factory, the only cheese plant of its kind in the state. Children and adults enjoy watching the cheese-making process, as well as sampling and buying its variety of cheeses. There are many options for outdoor activities ranging from astronomy lessons to kayaking. The Bluff Mountain Nature Preserve and Mt. 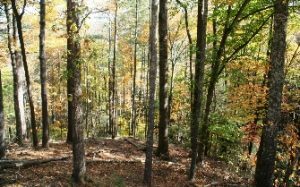 Jefferson State Natural Area offer hiking trails that meander among some of the most beautiful plant life the area has to offer. These areas also offer biking, climbing, fishing, and astronomy lessons. 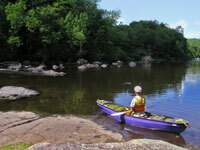 The New River provides an incredible venue for kayaking, canoeing, and all types of fishing. Nearby streams are stocked with trout every spring and make fishing a very popular activity. Ashe County NC also is rich in music and cultural arts for the whole family, supported by the Ashe County Arts Council.